We’ve been following Sarah Banks and sharing her journey whilst she’s been travelling and working at the same time. Now she’s home and back in the office. Did it work well? Would she do it again? Read her final blog to find out. 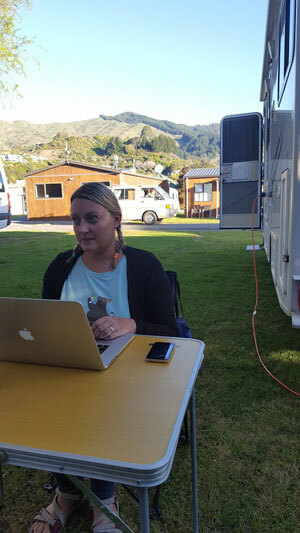 The end of our time in New Zealand had been challenging as I had used up all the data on the NZ Sim and had to work out how I would be able to work for our last 3 days at a campsite with no Wi-Fi. Luckily, I was able to upgrade the data although it was expensive; $20 for 1GB (approx. £10). This was frustrating but as I use upwards of 500mb a day I had no choice. Our last couple of days in New Zealand were thankfully spent in a motel with good free Wi-Fi so I only had to top up twice. 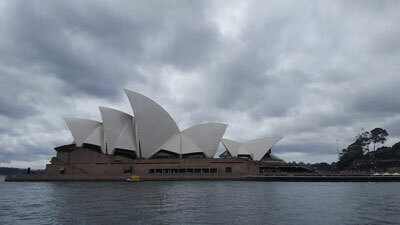 We left New Zealand with heavy hearts for our last week to travel through Sydney and Singapore, I had decided to take this last week as holiday, so was able to relax and enjoy our short time in each country without worrying about work. This also gave me time to reflect on things ready for my return. To be honest I was completely unprepared for my first day back in the office, I am normally so organised and will spend time ensuring I know what is happening during the week on a Sunday evening but this time I just didn’t have the energy. Jet lag had hit us hard when we got home and we were waking up at 3 a.m. then trying to stay up as late as possible for the first two days, and I just couldn’t face the thought of sitting down at my desk before Monday morning to plan. So, after dropping the children at school and grabbing some breakfast, I logged on at around 9:45 a.m. and started to look at my emails and put together a plan for the week. Thankfully I had a bit of breathing space on my first day back and by lunchtime I was feeling much more organised! However, the 2 p.m. slump was worse than usual and by school pick up time I was feeling ready for a nap. As I had started late, I had to do another hours work in the evening which was particularly hard during that first week. These have really helped me focus more and I feel I got so much more done. So, on day 2 I was able to finish by school pick up and have a well-earned rest in the evening. I am planning on spending the next few weeks networking, catching up with existing clients and getting back to my weekly live videos on Facebook. Through my social media marketing during my time away, I have continued to connect with my target market and actually have 3 prospect meetings planned with new clients over the next week so am excited about the new opportunities for my business now I’m back. I don’t feel that being away has been detrimental to my business, but I will be getting in touch with my clients for their views soon to see how they have found it. They have all seemed happy whilst I was away, so I’m hoping I won’t get any surprises when I speak to them but it will be interesting to see if they feel it has been as successful as I do. My biggest challenge with staying connected has been time zones and how my trip was structured. We were moving around every day or so which meant planning calls with clients wasn’t possible as I never knew how good my connection would be from one day to another. However, this wouldn’t put me off doing it again! Before I went away, I thought that working and travelling would be easy. At times it was, but there were some challenges and sometimes after a full on day driving or exploring the last thing I wanted to do was work. 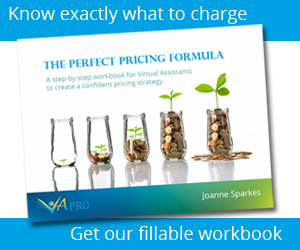 However somehow, I managed to average 2 hours a day Mon – Fri, kept my business going, attracted potential new clients and completed everything required for my regular clients. Having experienced the freedom of this trip, and despite all the challenges, I would absolutely do it again. The nature of the VA role is such that provided you don’t offer time dependent services, you can work from anywhere as long as you have your computer and Wi-Fi. It is really important to manage client expectations and get your head around time zones (something I really struggled with), but with the technology available to us the world really is our oyster. As a family we are already discussing our next trip and I fully intend to continue to make my business work around myself and my family both when we are in the UK and when we are travelling. My one tip to anyone who is considering the life of a digital nomad is do it! Life is too short to spend sitting at your desk 9-5 every day. You choose to be a business owner for a reason so make sure that you fully utilise the freedom you have and don’t be afraid to challenge convention in the way you choose to structure your business or where you choose to work. Hi Annelyse, it was 12 weeks in total. It really was amazing despite the few challenges with wifi, I would go again tomorrow. We had a bit of practice at working and holidaying beforehand as we spend a lot of school holidays in Wales and it really is great being able to have the flexibility. I’ve really enjoyed these blogs Sarah! 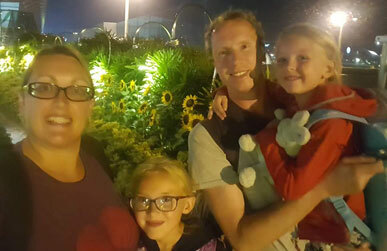 How wonderful to be able to take the family on such an amazing adventure – how did they find it? And did they mind you being half on-duty? If you did it again, would you continue working with clients or just do the management/marketing side whilst away? Thanks Caroline, glad you have enjoyed them. My family loved it as well and my husband is very supportive. We balanced things as we do in school holidays so he took over cooking dinner, washing clothes and getting girls ready for bed whilst I worked. The girls are used to this way of doing things when we are in Wales most holidays so it wasn’t really an adjustment for them and they got to spend most of the day with me. It wouldn’t have been possible if he wasn’t as supportive as he is though. I would still work with clients if I did it again as I would get bored otherwise, although I would prepare myself by making sure I understood the timezone differences better as that was something I was rubbish at! !